“Molly’s Game” (2017). Cast: Jessica Chastain, Idris Elba, Kevin Costner, Michael Cera, Jeremy Strong, Chris O’Dowd, J.C. MacKenzie, Brian d’Arcy James, Bill Camp, Graham Greene, Claire Rankin, Samantha Isler, Piper Howell. Director: Aaron Sorkin. Screenplay: Aaron Sorkin. Book: Molly Bloom, Molly’s Game: From Hollywood's Elite to Wall Street's Billionaire Boys Club, My High-Stakes Adventure in the World of Underground Poker. Web site. Trailer. After years of intensive training as a freestyle skier, Olympic hopeful Molly Bloom (Jessica Chastain) sought to secure a spot on the U.S. squad for the 2002 Winter Games in Salt Lake City. Through the years, Molly’s demanding father, Larry (Kevin Costner), pushed her hard to become a champion, first as a child (Piper Howell) and later as a teen (Samantha Isler). In some ways, Molly resented the relentlessly rigorous training, but it also imbued her with an undeniable drive for success, one that helped her defy the odds and overcome a near career-ending injury in her teens. And, by the time she made her Olympic bid, she seemed poised for a date with destiny – save for a traumatic fall during competition that knocked her out of the running and off of the slopes for good. Fortunately for Molly, she had a backup plan … sort of. As a bright, educated college graduate, she possessed the intellect to become a success in virtually any field she chose. Unfortunately, she lacked direction and wasn’t sure what she wanted to do. She contemplated attending law school but instead chose to move to Los Angeles for a year to find her focus, a decision that infuriated her father. Nevertheless, Molly headed to California in search of whatever life had in store for her. Molly initially took a job as a waitress in an upscale Los Angeles nightclub, one frequented by big-tipping celebrities and high rollers. While working there, she met Dean Keith (Jeremy Strong), an obnoxious but extravagant real estate developer who offered her a position as his office manager. 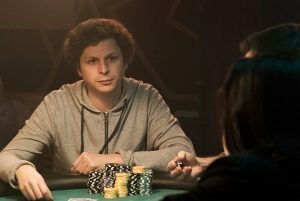 In no time, Molly became a key player in Dean’s organization, including as operator of his high-stakes underground poker game, a contest that regularly attracted professional athletes, investment bankers and movie stars, most notably the infamous Player X (Michael Cera), a well-known but unidentified Hollywood actor. Although Molly knew virtually nothing about the game at the outset, she learned quickly, hauling in huge tips from the players for her efforts as the event’s attentive hostess. She became so successful, in fact, that Dean felt threatened by her, eventually firing her. But, with the contacts she made through Dean’s game, Molly was soon able to set up an operation of her own, one that was set in a more lavish setting – and with even bigger stakes. Over time, Molly’s success blossomed as the ranks of her game’s high rollers swelled. But, given the unsavory nature of some of the players, she soon fell prey to the questionable activities of some of her regulars. Almost overnight, her astounding success evaporated, prompting her to relocate her operation from Los Angeles to New York, a move designed to cash in on the potential fortune to be made from the city’s wealthy voracious gamblers. Before long, however, Molly found herself in the company of a cabal of even shadier characters, including members of the Russian mafia and Italian mobsters seeking to horn in on her operation. What’s more, to keep going under the mounting pressure, Molly propped herself up with an array of pharmaceuticals, a move that increasingly eroded her perspective. Clearly it was time to get out. But how? The answer came in the form of an FBI raid. With all of her assets seized, Molly moved home with her mother (Claire Rankin) and wrote a book about her experiences. Under the impression that the worst was behind her, Molly sought to move on with her life – that is, until she was arrested again, charged with running illegal gaming activities, specifically the operations that were shut down two years previously during the initial FBI raid. And so, faced with severe penalties and long jail time, she hired a high-powered lawyer, Charlie Jaffey (Idris Elba), to help her get out for good as unscathed as possible. To find her way clear, however, Molly needed to get serious about how she ended up in this situation. That meant more than figuring out how she came to know such colorful characters as card sharp Harlan Eustice (Bill Camp), Ponzi scheme operator Bad Brad (Brian d’Arcy James) and Russian mob go-between Douglas Downey (Chris O’Dowd); it meant facing up to the reasons – the real reasons – why she pursued this course in the first place. And that meant getting in touch with those ever-elusive motivations. She needed to address what it meant to be the Molly she had become – and why – perhaps for the first time ever. In circumstances like this, it’s far too easy to just shrug our shoulders and say “Things just happen.” But such attitudes are all too convenient and the height of irresponsibility. There are reasons behind our behavior, and getting to the bottom of them is key to understanding them, especially if we’re wrapped up in questionable activities that we hope to get past and never repeat again. 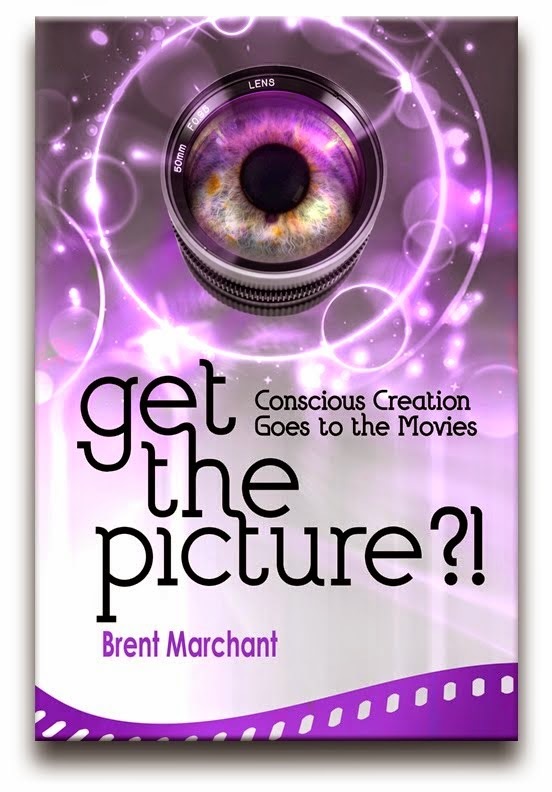 This is where the importance of our awareness of the conscious creation process comes into play, for it sheds light on how and why our reality emerges as it does through the power of our thoughts, beliefs and intents. It helps us to understand our motivations and how they lead to the existence we experience, for better or worse. That’s the challenge put to Molly as she works her way through her personal odyssey. 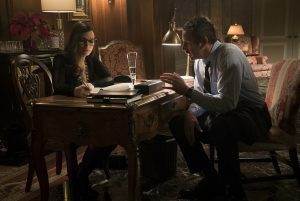 As Molly’s story unfolds, it’s apparent that her motivations have little to do with running a gambling operation per se. But, if so, then what is the driving force behind her actions? That’s what she needs to discover. Yet, the more she becomes embroiled in her circumstances, the more she loses sight of where she is, how she got there and why. If she ever hopes to escape her situation, she needs to get serious about addressing such matters – and fast. If Molly’s to uncover the reasons behind her actions, she needs to ask herself questions like what does she get out of these activities? What accomplishments can she lay claim to from them? Does the operation, its attributes or its participants provide clues as to why she’s involved in it? And, perhaps most importantly, how does running a game with such dangerous and seedy elements satisfy her needs? As the film’s narrative plays out, clues answering these questions begin to emerge. However, ironically enough, the individual least able to recognize them is Molly herself. In part this is undoubtedly due to being so caught up in the day-to-day matters of the game that she can’t see her way clear; the proverbial forest for the trees metaphor comes to mind. But it’s also partly attributable to avoiding the aforementioned questions in the first place, be it unwittingly or intentionally. In Molly’s case, one could argue that she seems to be blissfully ignorant of her underlying motivations (and willingly so), either because they involve something in which she has no pressing interest or, more likely, because they relate to issues she’s unwilling or not ready to face. In a situation like this, we’re nearly always forced into facing beliefs we don’t want to address, be it because we find them painful, embarrassing or otherwise uncomfortable. Yet, if we ever hope to get past them – both to rewrite them more to our liking and to generate a more amenable outcome – we must first confront them in their present form. As the heat gradually gets turned up on Molly, the means to make this happen start to arise. Like many of us, she may not enjoy having her hand called, but, if that’s what it takes, then that’s what must transpire if things are ever going to change. 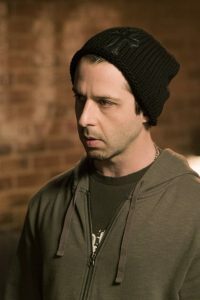 If Molly is going to unravel her motivations, she needs to examine the beliefs that spawned them, particularly how those beliefs came into being. This means analyzing the intellectual and intuitional input that led to their formation. Taking that into consideration, Molly has the intellectual aspect covered; as a bright, scholarly sort, she’s perceptive, quick-witted and incisively attuned, as evidenced by how fast she learns the ropes of manifesting a successful high-stakes gambling operation, all the way down to the finest of nuances. 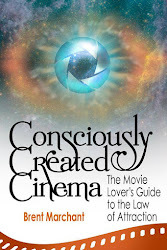 However, intuitionally speaking, she needs to take off her blinders or, at the very least, sharpen her focus to pay attention to those significant, if seemingly irrational elements that play a role just as important as her intellect in belief formation and reality creation. If she were to do that, she’ll get her answers – and probably a lot quicker than she thinks possible. On a cursory glance, one might be tempted to think that Molly’s inability or reluctance to identify her motivations has to do with the somewhat shady nature of her vocation, that she might not want to face the truth given the character of her work and her associates. But, counterintuitive though it might be, Molly actually has a strong ethical streak that runs through her, one driven by an apparent sense of integrity. She does her level-best to run an honest game, despite the questionable nature of the operation itself and the dubious nature of her colleagues. She also works hard to preserve the privacy of her clients, refusing to divulge names when offered plea deals and even protecting the identity of the aforementioned Player X. Given the foregoing, then, Molly wouldn’t appear to have issues with qualities like honesty and integrity, something that she should apply to her treatment of herself as much as she does to that of others. So, once again, the gaming mistress is faced with the question of her apparent inability to assess her motivations for setting up and running her operation. It repeatedly raises the question, why won’t she do so? When the truth behind those motivations is at last revealed, we may be shocked at what we see. In fact, her reasons would appear to have no discernible relation to their associated manifestations. 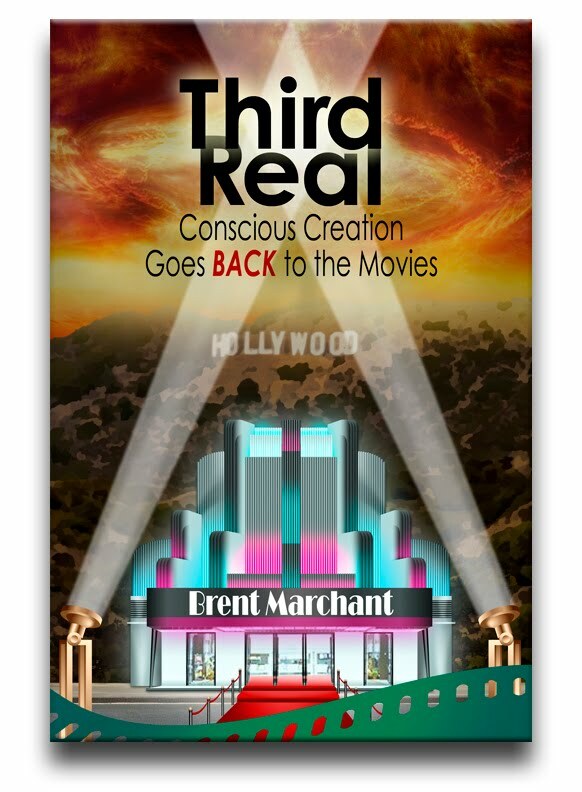 Nevertheless, as the connection becomes clarified, it’s possible to see how and why her existence has materialized as it has, something we should bear in mind when it comes to understanding the nature of our own realities, no matter how seemingly incongruous the nexus between the motivations and manifestations may appear. It’s with this knowledge that we can then begin to reformulate our beliefs to create an existence more in line with our hopes, goals and desires. And so it is with Molly, too. Given Molly’s obliviousness to her own motivations suggests that she likely has little awareness of the metaphysical process with which they’re associated. However, after going through a scenario like this, it’s a pretty safe bet that she’ll make more of an effort to keep it in mind going forward. It’s hard to ignore the lesson that comes from an experience as significant (and challenging) as this, and any of us who go through something comparable to this and attempt to downplay its impact do so at our own peril. Consider this a cautionary tale well worth taking to heart. 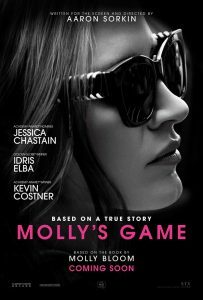 While much of “Molly’s Game” plays like a crime drama, the underlying issue, as discussed above, is finding oneself. 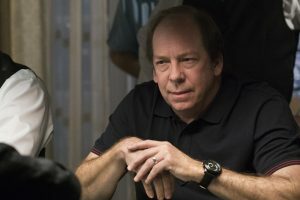 This offering from writer and first-time director Aaron Sorkin spins an intriguing yarn about a one-of-a-kind character, and it does so by successfully maintaining a brisk pace for its 2:20 runtime. 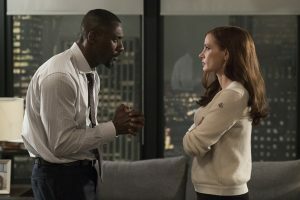 The film also serves up yet another sparkling performance by Chastain, who once again demonstrates her tremendous skill at being able to disappear into a role, delivering one of the best lead performances of 2017, an effort that earned her Golden Globe and Critics Choice Award nominations for best actress. Backing Chastain is a superb ensemble, especially Elba, Costner, Cera and Camp, all of whom deliver some of their best on-screen work. 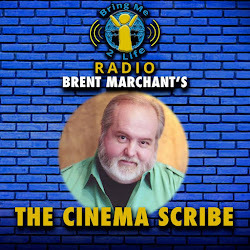 Though I would have preferred that the dialogue sounded a little more natural and a little less “written,” the picture nevertheless features a capably crafted script adaptation, one that pulled down Golden Globe, Critics Choice, BAFTA and Oscar nominations for best screenplay. Stripping away the veneer to find out who we really are and what we’re really trying to accomplish may prove to be quite a taxing process. But, if we’re ever to get the answers we seek in these areas, sometimes we have to pause to assess our circumstances, taking time to stop, catch our breath, and give our thoughts, beliefs and intents a good, hard look. We might be surprised at what we see. We may not like it, either. But at least such evaluations are honest, and that’s as good a starting point as any to determine where we are – and where we want to go.